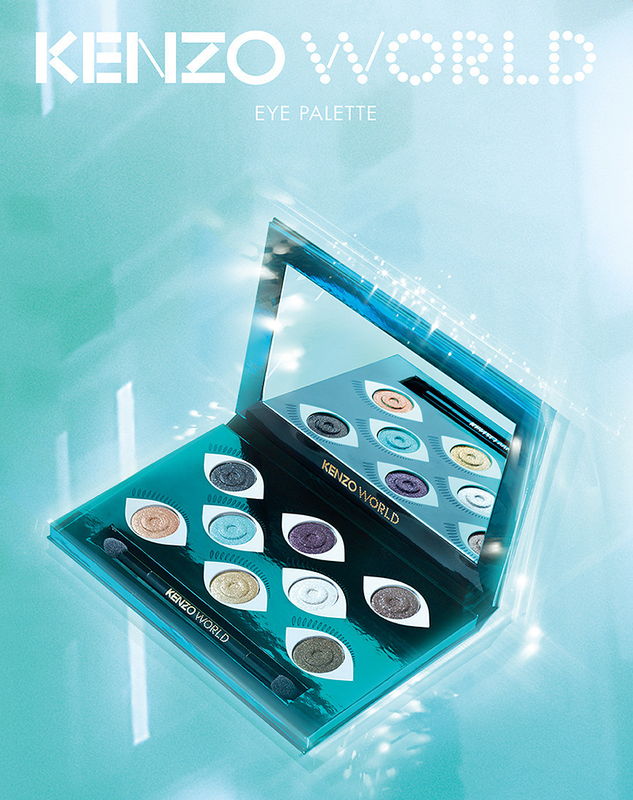 French fashion House Kenzo launched its very first Makeup Product! 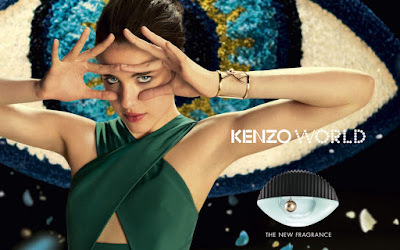 Kenzo, the world-renowned French luxury fashion house, is branching out into the world of color cosmetics with a makeup product, inspired by one of its most loved perfumes – Kenzo World perfume. 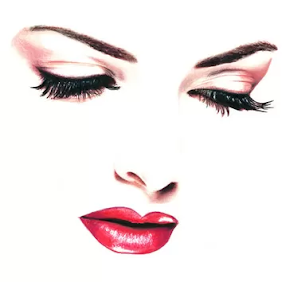 In 1988, Kenzo launched its first fragrance, Kenzo by Kenzo. 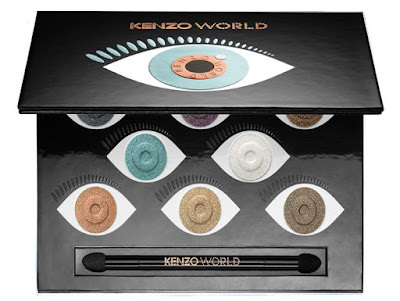 A skincare line named Kenzoki launched in 2001; and this autumn, the brand debuts its first makeup product, Kenzo World Eyeshadow Palette. Inspired and paying tribute to the women’s fragrance from 2016 Kenzo World. This fresh, floral composition, envisioned by Francis Kurkdjian, combines the notes of peony, jasmine, and ambergris in a sparkling union with a stylish, lingering aura. The fragrance is presented in a unique bottle that features black rubber, pink gold and opaline. Its gommato cap is inspired by the iconic Kenzo Kalifornia bags, adorned with detailing in pink gold metal from "The Eye" jewellery collection. The all-seeing eye is a main motif of the collection and alludes to the force of the third eye and spiritual protection from above. Designed by two leading Kenzo fashion house designers, Carol Lim and Humberto Leon follows the same line of inspiration. The all-seeing eye appears both the palette and its outer packaging and on the inside. Each of the seven round eyeshadow pots is framed by a white almond-shaped motif, resembling a wide-awaken eye, open for contemplation of this world. 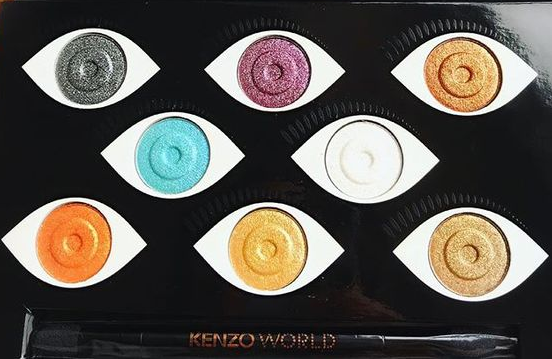 Kenzo World Eye Palette includes eight shimmer-infused shades, ranging from neutral browns, to ice white, rich burgundy, and three vivid colors in blue, bronze, and yellow gold. The new Kenzo eye shadow palettes playful shades are perfect for both night and day makeup looks. Kenzo World Eyeshadow Palette is set to be released this month (October 2018).